(¸.·´ALOHA! 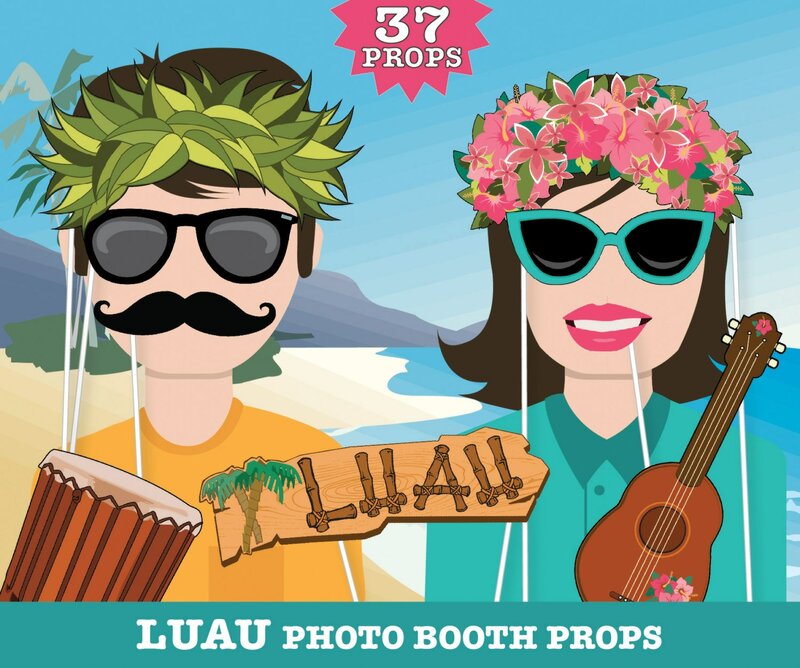 You’ll enjoy these 37 playfully illustrated Retro Luau themed props. 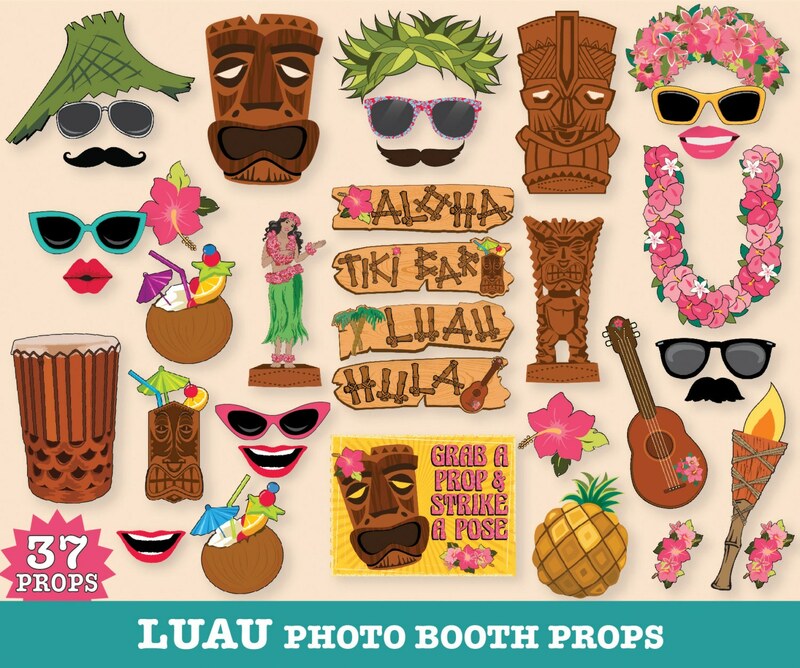 The kit consists of 37 props including: Flower Headdress ★ Leaf Headdress ★ 2 Tiki Mask ★ Tiki Statue ★ Tiki Light ★ Tiki Drink ★ 2 Coconut Drink ★ Palm Leaf Ha ★ Hula Girl Dashboard Statue ★ Ukulele ★ Pahu Drum ★ Pineapple ★ Lei ★ 2 Hair Flower ★ 2 Wrist Flowers ★ 3 Mustache ★ 4 Lips ★ 6 Sunglasses ★ Aloha Wood Sign ★ Tiki Bar Wood Sign ★ Luau Wood Sign ★ Hula Wood Sign ★ BONUS - Photo Booth Sign★ Instructions, Plus Information for materials need & paper suggestions. 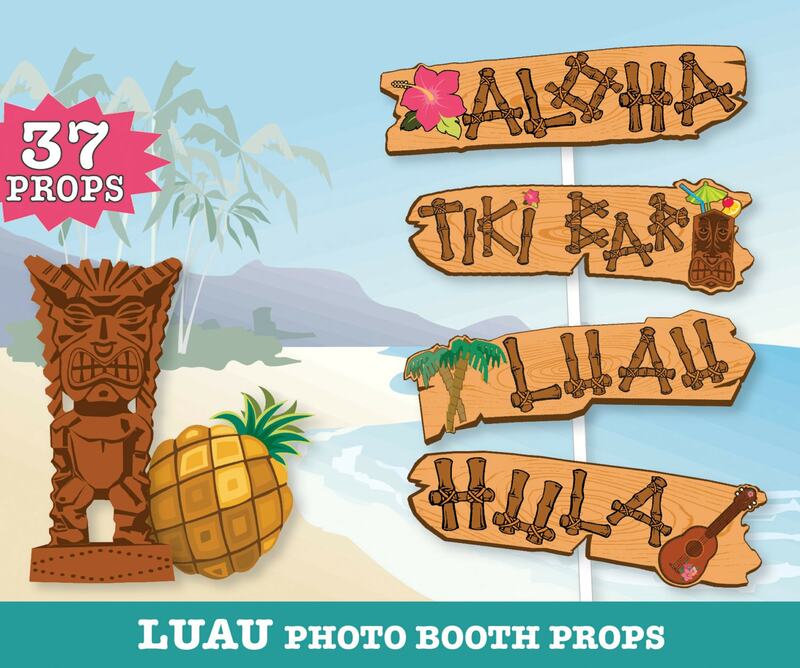 This Luau Photo Booth Prop Kit will transport you & your guests to have some fun in the sun! 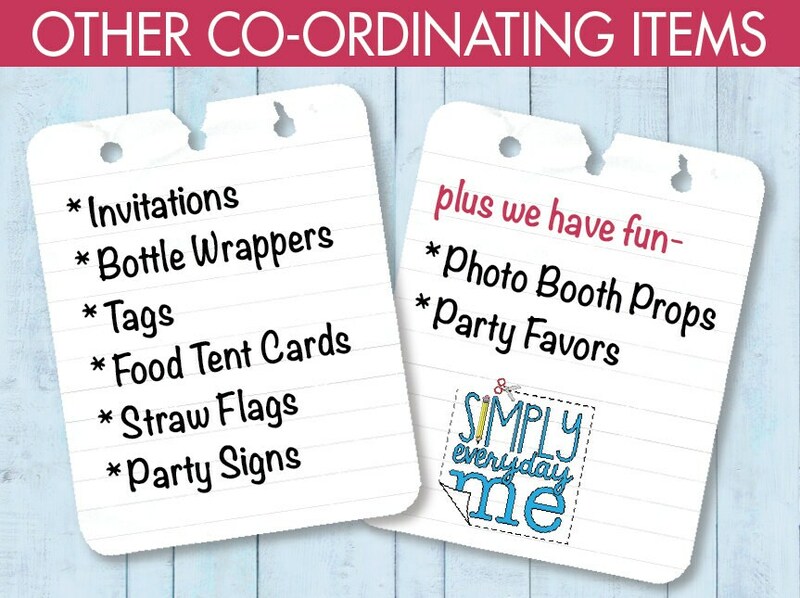 They will be a unique addition to your event, whether it’s a luau, summer party, wedding, shower or just for the fun of it party… they will turn smiles & giggles into unforgettable memories. AMAZING! My 25th birthday party will ne awesome with these props! These were great! 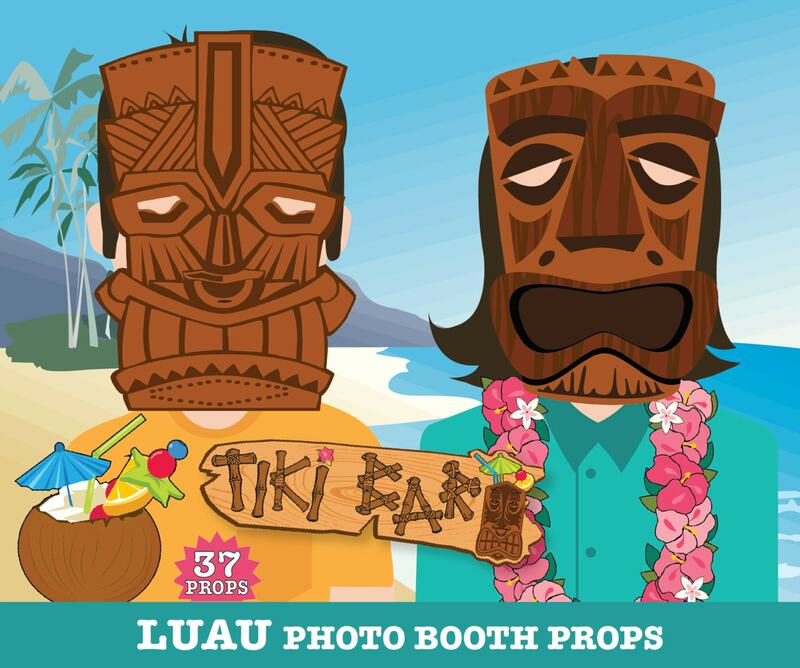 We used them for a luau birthday party, and the kids loved them! Nice selection. Thanks!